Business eBooks, short stories, nonfiction personal reflections and children's books. "When you can turn your passion into a career, it becomes much more than a job." 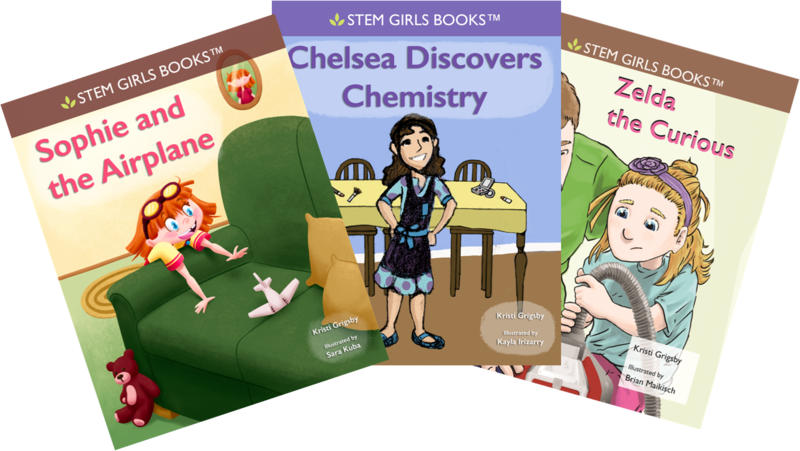 With inspiration from accomplished women in STEM, STEM Girls Books are designed to introduce young girls to the exciting possibilities of STEM - science, technology, engineering and math. We launched on Kickstarter in April 2017 and met our fundraising goal in just three days. Our first three books were completed and published on Amazon four months later. Within the first month of publishing, over 400 books had been distributed to seven countries. STEM Girls Books have been honored with New Apple and National Indie Excellence Awards. How Many Yesterdays are in a Million Years? [Paperback] ​I had the privilege of collaborating on this book to bring this sweet Hebrew story to life in English. With the languages side-by-side, children around the globe will enjoy the simplicity and humor of a world seen through the eyes of a child.